'Tis that time of year once again. CHRISTmas, as we all know, is the day when we celebrate the birth of our Savior. Along with this, it has always been a tradition of Christians to exchange or give gifts during this season, especially for kids. Having had too many "inaanak" (godchildren), I had to buy each one of them their gifts as well as gifts for my own kids and my friends, too. 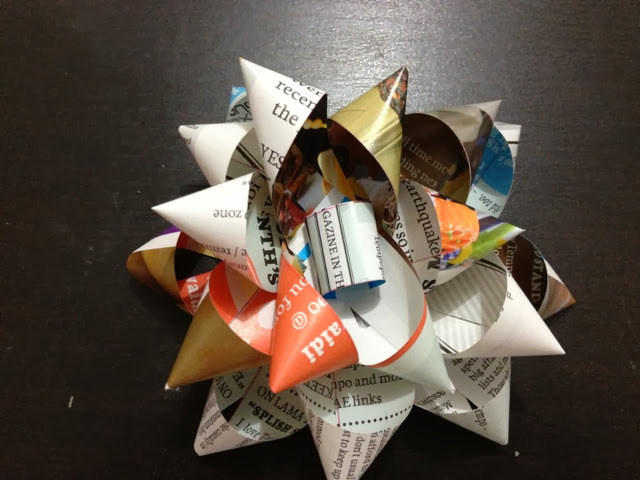 To cut on costs, I decided to make my own gift pompoms out of old magazine pages. This will help me lessen the expenses on the wrapping and gift presentation. I consulted Mr. Google on how to do one, and I was surprised on how easy it was and I am going to share it with you. First, measure and mark the magazine page into nine strips about 3/4 inch thick. 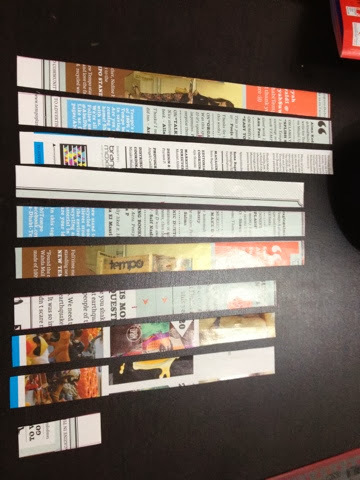 Cut each strip. The first three strips will be left at its full size. For the next three strips, cut 1 inch off the top and for the last three strips, cut 2 inches off. Take one leftover strip, about 2 inches, and glue it to form a loop. Take one strip and divide it in half lightly. Loop one end to the center and twist it to one side and glue it. Loop the other end to the center and twist it the other way and glue it as well. Make sure that after looping both sides, the strip will give you a somewhat number 8 appearance. Loop the remaining strips. 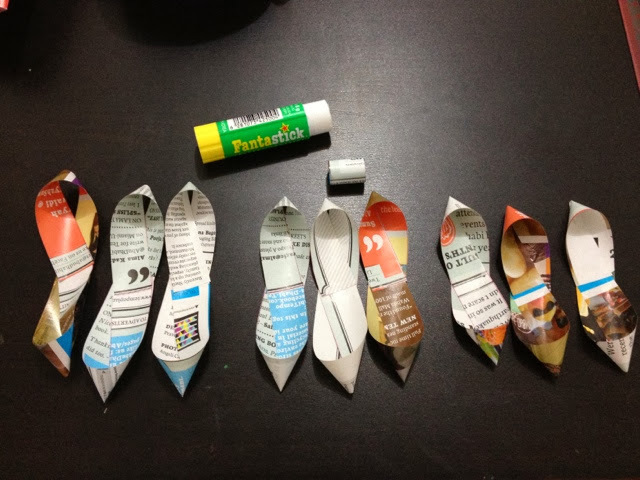 Take the first three longest strips first and glue them together to resemble something like an ampersand. 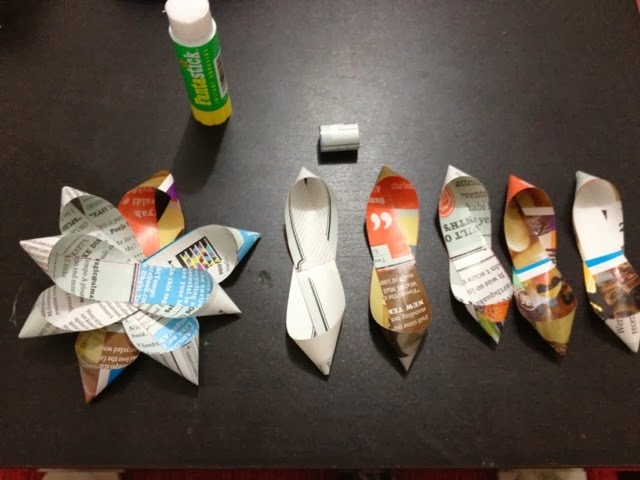 Do the same thing to the remaining two sets and arrange them into a flower shape and secure with glue. Fill the center by placing the leftover strip of paper in the middle. Secure the loop with a glue. 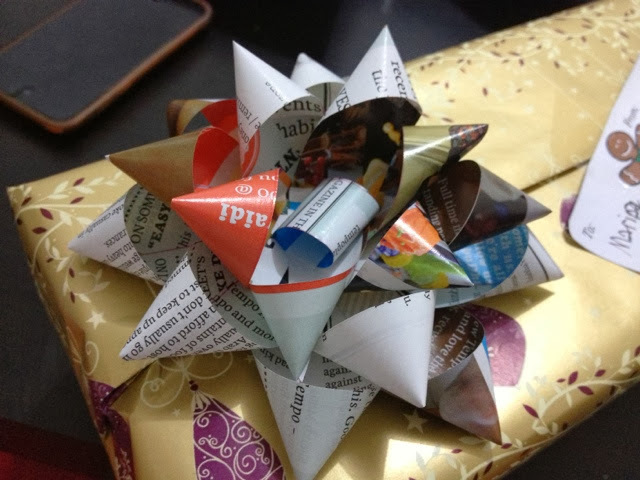 There you have it - your DIY gift bow. A practical way of giving your gifts an extra touch.